The changes are part of a package of revisions that will come into force from 4 December. The objective is to provide a more realistic assessment of driving on today’s roads. However, the Driver and Vehicle Standards Agency (DVSA) sought to reassure learner drivers that although they will spend more time being observed without input from the examiner, and should follow instructions from a sat nav, it doesn’t matter if they go the wrong way. “Driving safely is what counts,” said the DVSA, adding that it’s only when a candidate drives dangerously, or repeatedly makes minor driving faults, that they will fail their test. The DVSA said learners won’t need to bring their own portable navigation unit to the driving test. Instead, it will be provided by approved driving instructors, who will input a route. It added that those taking their test can’t bring and ask to use their own sat nav unit. Before new drivers imagine they can stop paying attention to road signs, the test will require that one in five people won’t be able to use a sat nav at all, and will be expected to follow traffic signs. The DVSA is still to explain to drivers and approved driving instructors and examiners how this element will work. What are the faults that fail a driving test? Currently, the test includes a 10 minute ‘independent’ period where drivers are expected to drive without turn-by-turn directions from the examiner. That part of the test is being doubled, to 20 minutes, or roughly half of the road test. It is hoped to give examiners more time to check for bad driving habits, known as faults, and ensure that applicants don’t perform any dangerous manoeuvres that could endanger themselves, the public or property. Drivers are permitted to make up to 15 minor faults, but must not make any dangerous faults. Two tasks that are being dropped from the exam, from 4 December, are the ‘reverse around a corner’ and ‘turn in the road’ manoeuvres. Instead, drivers will now be asked to perform one of three new parking manoeuvres. These are: parallel, at the side of the road; in a bay, by driving in and reversing out, or reversing in and driving out; or pull up on the right-hand side of the road, reverse for two car lengths, and then rejoin the traffic. Another addition to the test are safety questions. The first, known as a ‘tell me’ question and asked before driving begins, expects learners to explain how they’d carry out a safety task, such as explaining how to find the recommended tyre pressures for the car, and how to check them. The second is a ‘show me’ question, and is performed when driving. For example, an examiner could ask the driver to wash and clean the front windscreen, using the wipers. The driving test remains roughly 40 minutes and the mark required to pass will not change. The cost of £62 on weekdays and £75 at the weekend remains the same. 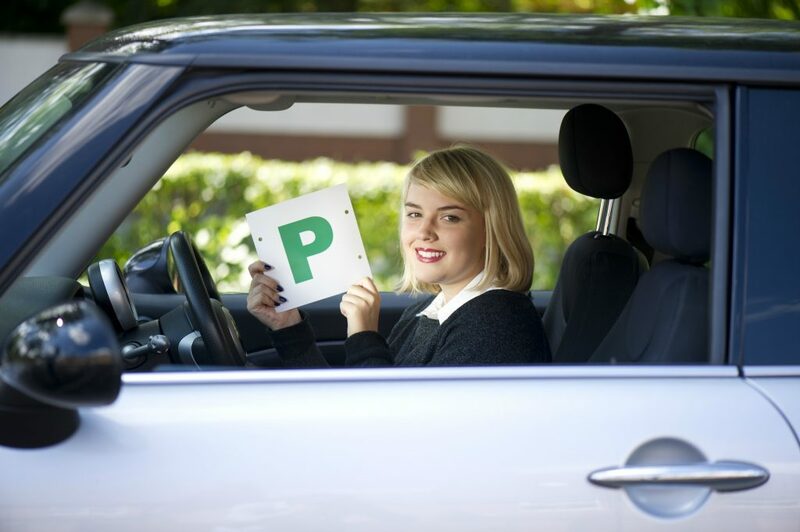 Those that pass their test will be asked if they wish for their licence to be issued to them automatically, so they can start driving immediately. Anyone who passes but chooses not to have their licence issued must apply for a full driving licence within two years of passing, or their test result will no longer count. By the end of the year, the government is due to release the results of a consultation on allowing learner drivers on the motorways.